So when George Harrison wasn’t too confident in his songwriting in the earlier years of The Beatles’ musical reign in the 60s, John Lennon and Paul McCartney would write songs for him to perform the lead vocal on. They did that on Please Please Me with ‘Do You Want to Know a Secret?‘, and two albums later did so again with ‘I’m Happy Just to Dance with You’. The song is the fourth track on A Hard Day’s Night and is the only song Harrison takes lead vocal for on the album. Both Lennon and McCartney didn’t think much of it. Lennon was quoted as saying he never would have sung it himself. Still what is considered a throwaway by the two main songwriters has always been up there for the best songs on the album in my eyes. It lasts for just under two minutes but it sure has a melody that can stick. Paul McCartney plays a bassline that never seems to stay in one place; John plays an unusual rhythm guitar pattern in the verses that jolts along with the rhythm. Harrison’s voice suits it perfectly and it was probably for the best that neither Lennon nor McCartney sung it. Though their backing vocals – aided by hefty natural reverb – are greatly utilised. They add a sense of mystery I feel. Especially along with those chord changes in the chorus. It’s a track about wanting to dance with a girl and blanking anyone who tries to interrupt. Not a lot of depth to it, but it doesn’t sound dated one bit. The fifth Beatles entry so far in the “I”‘s. Told you yesterday, there’s more to come still. Though in comparison to yesterday, with ‘I Want to Hold Your Hand’ being one of those diamond compositions written by the iconic pairing of Lennon/McCartney, ‘I Want to Tell You’ was written by the band’s lead guitarist George Harrison. The upload above has very poor audio quality, clearly to avoid copyright infringment, so please… try and listen to it on a streaming service or something. Damn Apple Corps. Revolver, the album on which the track can be found, is my favourite Beatles album. It’s a ten out of ten. Every song on there is great. Well, ‘Yellow Submarine’ is okay. And it also saw the three main songwriters have somewhat of an equal share of the tracklisting with Harrison having three songs allowed on there, one of them being ‘Taxman’ which starts the whole thing off – that’s for another time. For about two years straight ‘I Want to Tell You’ was always on in my head. Upon hearing Revolver for the first time it was the song that I always kept on repeating endlessly. So much so that it was my most played song in my iTunes library for about two years. 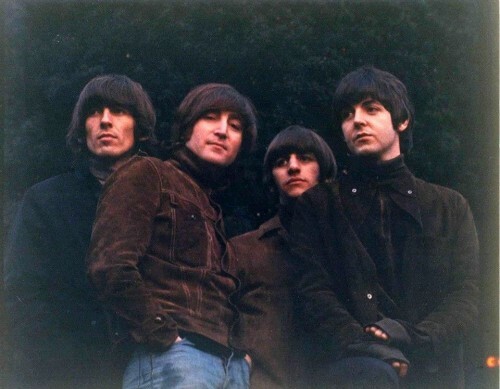 It’s not the one on the album that you would find many people talk about, compared to ‘Eleanor Rigby’ or ‘Tomorrow Never Knows’, though for me it always had that quality that gave it that edge. The excitement is all set up in those opening fifteen seconds or so. The fade-in with the hanging guitar line reels you in, the first striking piano chord along with Ringo’s snare hits keeps you still, the shaking of maracas somehow build up this sense of anticipation for what’s to follow…. and what does follow is a bouncy joint about confusion and errors in communication when in a relationship. Harrison along with Lennon and McCartney sound like they’re having a good time in the studio just because of their vocal performances, when the latter two come in for their harmonies they sound on form, especially during the ending when Paul goes all crazy on the higher notes. It’s very upbeat, I sang along from ages 14-16… it’s good to put on every now and then. It was the sixteenth anniversary of George Harrison’s passing this last week, so it’s very fitting that today’s song is one by the singer/guitarist/overall cool guy that he wrote during those hectic years when he was in The Beatles. ‘I Need You’ was the second Harrison-written composition to make its way onto a Beatles album, appearing on the group’s fifth album, Help!, in 1965. I like ‘I Need You’. Simply another love song that The Beatles were so good at doing in that Beatlemania phase. It’s a track of thoughts and feelings when a relationship ends and you’re just left with the weight of the world on your shoulders. It’s not emotionally heavy at all. It’s all upbeat. Has a simple melody that doesn’t take too long to remember. That volume pedal guitar is possibly the musical highlight of it all as it echoes Harrison’s lines. It feels like a brisk bike ride in a park. It’s very easygoing. It’s always good to here George’s voice once in a while. *Apple aren’t a bunch o’tight poops anymore. Just when one Who song has been done, another comes quickly around the corner. ‘I Can’t Reach You’ comes right after ‘I Can See for Miles’ on The Who Sell Out, and as I type this I’m slowly realising the contrast between the two. The latter expresses a narrator’s confidence in their ability to see all things, whereas the former witnesses one who’s trying their hardest to gain any sort of communication with a particular entity they want to get close to. Also, ‘I Can’t Reach You’ is one the daintiest compositions on the whole album which is a sudden change coming after the chaos of the preceding song. Clearly a lot of thought was put into the order of the tracklist. I’ve listened to this album for about seven years now and that’s just crept on me. There’s a child-like innocence I sense when listening to this song, possibly aided by the foregrounded light piano that leads the melody and the fact that Pete Townshend sings here. At this point Roger Daltrey hadn’t fully developed his trademark howling vocals of the 70s so there’s not a large difference between the two’s vocal abilities on the album, but Townshend’s higher register lends this particular song a softer and vulnerable touch. The song is the first on the album to use lyrics/music that would then be appear on the following album Tommy through the ‘see, feel, hear’ section of the chorus. ‘Sunrise’ does it. ‘Rael 1’ does it. ‘Glow Girl’ does it too, if you own the 1995 release. Other small, small things to look out for when listening is John Entwistle’s heavenly harmony vocal during the chorus, Keith Moon’s yet again going crazy on the drums – so much so that he lets out a scream before a drum roll around 2:32 – and the sneaky key change that occurs during the instrumental break which you won’t realise would have happened until Townshend brings in the final chorus. It’s all nicely tied together. One of my favourites on the album. I can’t vividly describe the first time I heard ‘I Can Hear You’. There was no situation I found myself in life where the song was playing on the radio and felt a wave of emotion. It just happened when I listened to Factory Showroom in full in 2010 or so. I can’t remember how I felt about the song on that first listen, though revisits to it revealed another noteworthy gem of the group’s within their illustrious discography. The performance of ‘I Can Hear You’ was recorded at the Edison Historic Site in New Jersey on wax cylinder alongside three other songs on 27th April 1996, explaining the low audio quality of the track. Its thin sound also makes it quite hard to decipher what instruments are being played on it. All these years I never thought there was a bass being played in it, yet close listening made it much clearer. It also has quite a simple yet punchy rhythm to it which makes it that much enjoyable to hear. The lyrics are sets of dialogue from other low-quality transmissions that you may come across in daily life, whether it be from a passenger in a plane calling a close friend from the sky to those intercom towers you order your food from at a fast-food drive-through. There’s a sad feeling I get from this song, I can’t explain it. There’s something about the sound of it and its cyclical nature – the ‘chorus’ at the beginning of the song comes back around at the end – that sometimes gets to me. It’s far from being one of the band’s best songs. Though I enjoy it a lot. Good tune. The band replicated the recording process of the song as part of a Millennium special of Jon Stewart’s Daily Show in 1999. This version is just as good, if not probably better, given some string flourishes that enhance its effect.